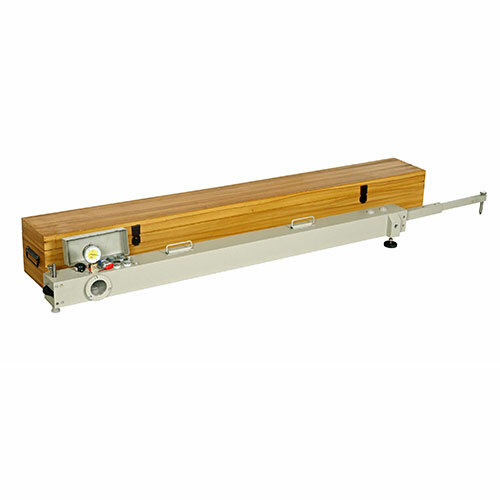 Benkelman Beam Description: SE-Test India Pvt. Ltd. is known as the most competitive and trustworthy manufacturers, suppliers & exporters in the lab testing equipment market. SE-Test India’s Benkelman beam test apparatus, model no. 1315 conforms to the AASHTO T 256 industry standard is serving the needs or acting as a great resource of material for government agencies, contractors, consultant etc. in the transportation and other infrastructure industry. Benkelman beam is used to find many characteristics of the flexible pavement in response to the traffic load. For evaluation of rigid pavement load transfer and a flexible pavement structure, pavement surface deflection is the primary mean of measurement. Deflection method or measurements help to know the stiffness of the pavement structural layer and its sub-grade resilient modulus. Our Benkelman beam equipment is considered to be the less expensive and most effective equipment to carry out deflection measuring that provides accurate results. It is one of the easy, simple, and non-destructive methods. Benkelman beam is serving the needs or acting as a great resource of material for government agencies, contractors, consultant etc. in the transportation and other infrastructure industry. Utilize the method of the balanced beam to measure the road flexure in conjunction with a suitable vehicle. Operated on a simple lever-arm principle. Easy to transport to any site location. For simplified field set up designed with unique telescopic. No need to worry on the storage part as very compact comes with carrying case.